“Stewardship? What’s that got to do with me?” you might ask. Tony Evans explains that all we think we own really belongs to God. And when we think of “our” money that way, we can learn to be good stewards, or managers, of what has been entrusted to us. Tony Evans will help you discover the answers to everyday financial issues by showing you that God has a purpose for your money. Take the journey through this concise and practical book. 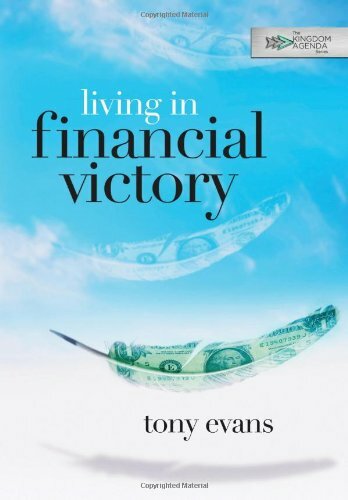 Written with much Biblical reference and scripture, Living in Financial Victory is a quick read that gives tips and advice on how to get out of debt and stay that way. Written from a Christian perspective, this book serves harsh realities of God's views about debt, laziness, and stewardship. There's not a lot of concrete suggestions on exact steps to receive financial victory. There is, however, helpful and insightful information on what it takes to be a good steward. Living in Financial Victory doesn't beat around the bush, and is straight-forward with how a person needs to focus their thoughts on finances. It also reminds us that we need to seek God as a first priority before we worry about material matters. This looks like a nice book in order to get financial health in order. Thanks for the recommendation.